You’ve picked the date, chosen the dress, arranged a cake, so now… ‘the Flowers! Everything from the brides bouquet and bridal wedding flowers to the church and reception decorations. Whether you choose a traditional, modern or contemporary approach we can create something special and unique. These prices are to be used as a guide only, prices can vary due to season, individual requirements and availability of some flowers. Fresh flowers enhance your wedding in every way but the one floral accessory everyone will remember is that bridal bouquet. Some couples also like to give each of their Guests a flower as a symbol of their love and friendship. By taking the time to go through each stage of the day and taking the time to visit the wedding venues, we are able to design beautiful floral displays with your chosen theme, style and colours. Flowers are the perfect way of creating the right atmosphere they are the most significant way you can personalise this space and create an ambience. We are also able to offer a full marquee decoration service. 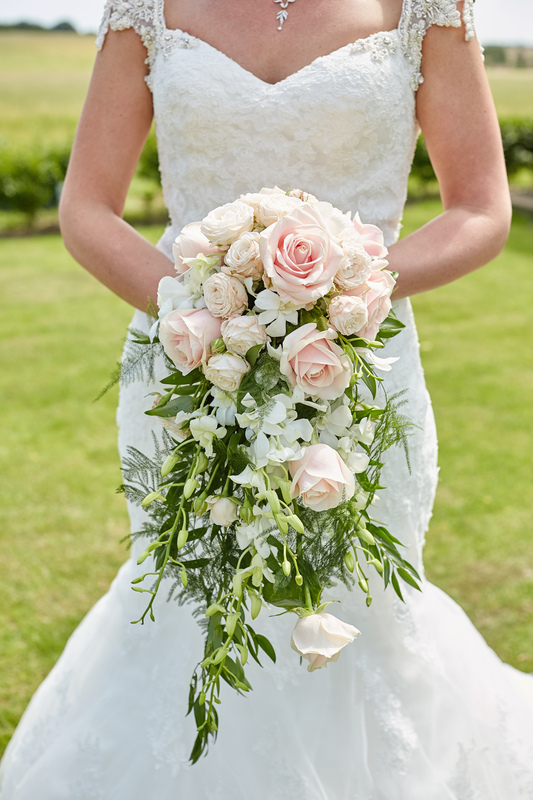 Delivery and installation of all wedding flowers is carried out by ourselves so once you’ve made your choice, we’ll take care of everything else. Our consultations are free and you’re under no obligation to use our service. Should you wish to make an appointment to discuss your requirements please contact us at the shop. We are open Tuesday to Saturday from 9:30 AM till 4:30 PM, we look forward to hearing from you. With a genuine passion for creating the most beautiful and memorable bouquets and arrangements, and the vision to deliver the freshest flowers of the best possible quality. We are a florist who pride ourselves on high quality, painstaking detail to our work and to our customer care. The years of experience and the enjoyment we get from what we do is what makes us different.